Mcrosoft is, of course, pulling out all the stops to launch its new operating system, Vista. As part of the launch today, New Yorkers were greeted with a gigantic billboard outside the Terminal Building. The billboard was not your standard static board but was alive with Cirque du Soleil-style acrobats hanging from ropes while unfurling large tarps in the shape of the Windows logo. TBWA used a similar approach for Adidas in Japan back in the summer of 2003. 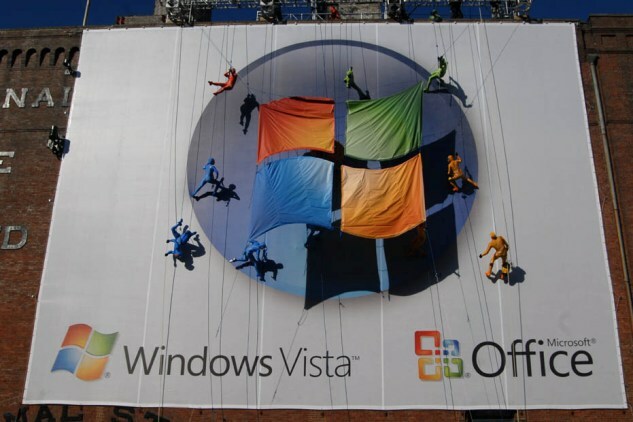 "Microsoft Unfurls Cirque du Soliel-Style Billboard For Vista"